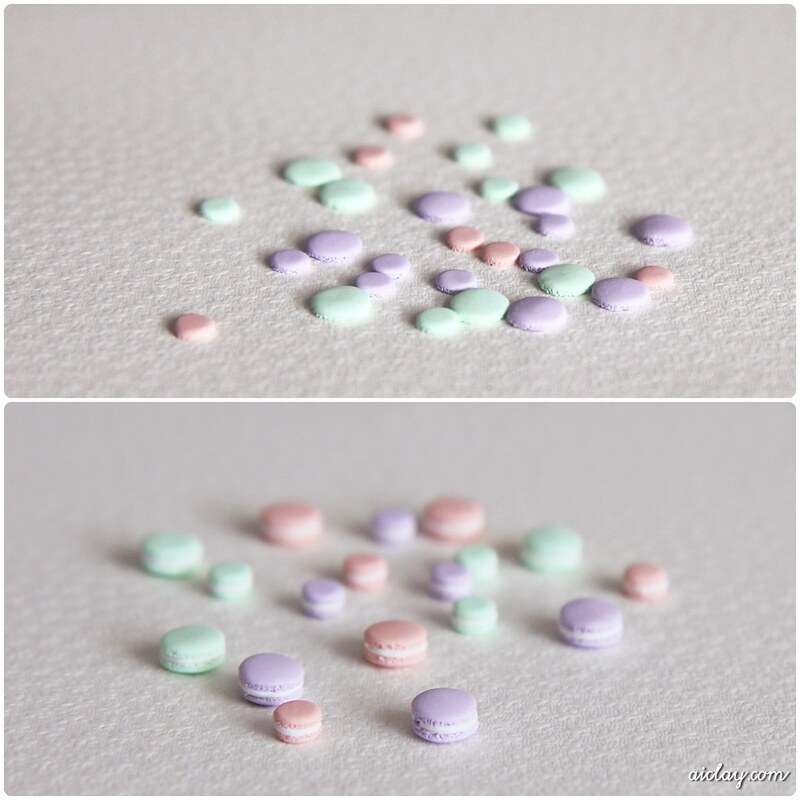 AiClay - a Haven of Miniature Food: I'm awkward and here are some macarons. Over the past few months, I've had the opportunity to work with 3 different filming teams, who had approached me to feature AiClay and my "interesting job". One of the filming team was from OMY.sg for the program Meet the Young Bosses, and wow that was a crazy quick filming session! It took no more than 2 hours for the interview and show-and-tell, and even post-filming editing was quick because THE EPISODE IS HERE! I was supposed to speak in Chinese but found myself slipping back into English very often, and oh my how I cringed at all of my awkward pauses and stumbling over words. And please don't take whatever I said seriously, because I was simply blabbering anything that came to mind. For the next photo, do this little imagining exercise with me. 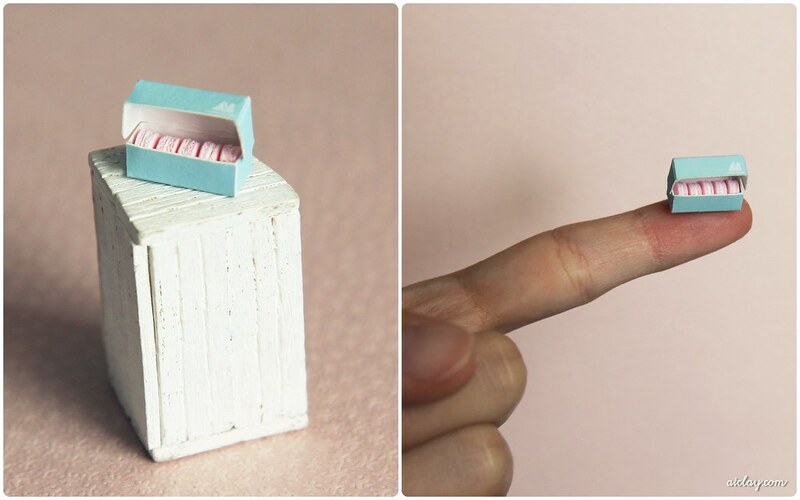 Stare at the smallest macaron shell in the first photo. Before you move on to the next photo, imagine how small it would be using your finger as reference. Then go on to the next photo to check if they were as small as you imagined them to be. Don't cheat before you move on to the next photo! -wags finger.